When you need us, you have access to our staffed office located in Springfield, Missouri. From our central location, the HAILUSA staff is ready to assemble and send a highly qualified team of recon technicians to you. HAILUSA is a well-established company with the largest fleet of mobile response trucks in the United States. In business for more than 25 years, our reputation for quality and satisfaction has spread across the USA, Europe and Asia. HAILUSA maintains the necessary Garage Liability as well as Garage Keepers Liability Insurance policies at all times. You can rest assured that your vehicles and your operations are fully protected any time you do business with HAILUSA. 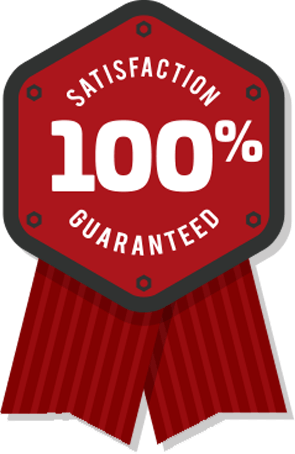 Lifetime Satisfaction Guaranteed—when you contract with HAILUSA, we repair your inventory to your complete satisfaction. It’s as simple as that. Quality craftsmanship us our foundation and has been for more than 25 years. We’re proud to offer our customers our warranty. HAILUSA agrees to remove hail damage from said vehicle to customer’s satisfaction. HAILUSA agrees not to alter or change the color of the vehicle’s paint. HAILUSA warrants that dents will not return as long as the customer owns said vehcle, barring further abuse. Any nuisance from said repair must be repaired by HAILUSA and at HAILUSA’s expense. 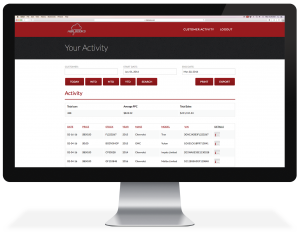 To make the repair process more efficient and effective for our customers, HAILUSA uses bookkeeping software designed specifically for recon professionals. So after the storm, when the damage is done, you can count on HAILUSA for your onsite repairs. Give us a call at 855-HAIL-USA—we have a recon team ready to head your way. REPAIRS FOR CARES: For every vehicle repaired by HAILUSA, a portion of the proceeds will be donated to the Breast Cancer Foundation of the Ozarks. BCFO provides resources and support—both personal and financial—to meet the needs of individuals and families impacted by breast cancer. ©2016 HailUSA. All Rights Reserved. Site by Schilling/Sellmeyer.